New Internships In Kenya. 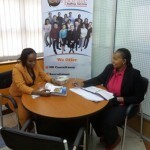 View and apply latest internships in Communication, Marketing, Accounts, HR, Sales, Monitoring and Evaluation and other latest entry level jobs and graduate trainee placements in Kenya. Digital Marketing Interns, Internships, Jobs in Nairobi.Our client is research, capacity building, and project technical consultancy institution.